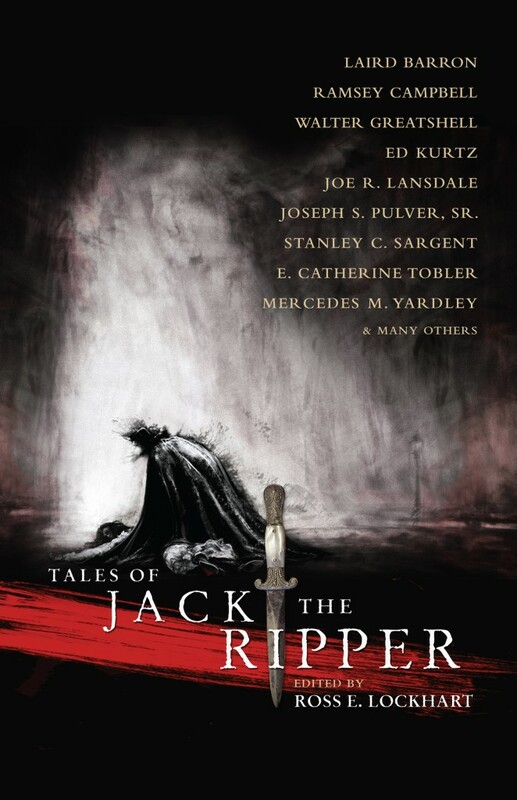 It is award season once again in genre fiction land, so I’ve been fielding occasional queries wondering whether Tales of Jack the Ripper (Word Horde) and its contents are eligible for various awards. In the interest of placing all the necessary information at your fingertips (and mine), here is some statistical information on the anthology that I hope will both inform and enlighten. The anthology Tales of Jack the Ripper was published August 31, 2013, and is comprised of seventeen stories, two poems, and an introduction. Of those seventeen stories, three are reprints, as are the two poems, and fourteen stories are original to the anthology. Tales of Jack the Ripper is a professional market, paying .05/word for original stories and .02/word for reprints. The anthology as a whole should be eligible for consideration in most industry awards’ Anthology categories. The book is 75,859 words total; 60,134 original [79.27%]; 15,723 reprint [20.72%]. Editor Ross E. Lockhart is eligible to be nominated as Best Editor (Short Form) for Tales of Jack the Ripper, and as Best Editor (Long Form) for works published in 2013 (all of which are also worthy of your consideration), including Blind Gods Bluff, by Richard Lee Byers; Earth Thirst, by Mark Teppo; No Return, by Zachary Jernigan; Binding, by Carol Wolf; The Beautiful Thing that Awaits Us All, by Laird Barron, The Daedalus Incident, by Michael J. Martinez, and Reanimators, by Pete Rawlik. Publisher Word Horde is eligible to be nominated (where applicable) as Best Publisher. On behalf of Word Horde and the authors included in Tales of Jack the Ripper, thank you for your consideration and support during this year’s oh-so-competitive awards season.